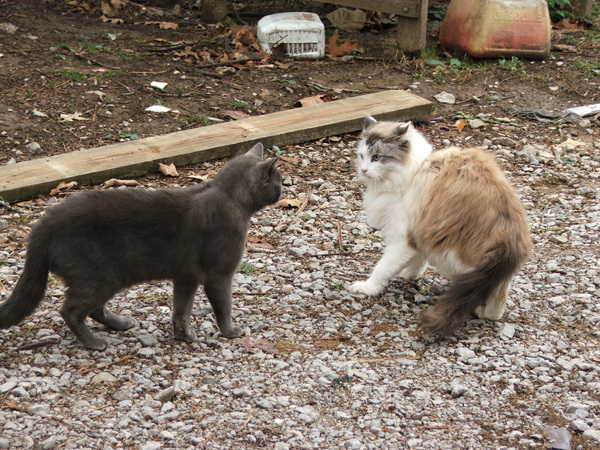 Aside from risks of predators and disease, outdoor cats can be trouble for humans and other cats. The great outdoors is sometimes not that great. Cats who spend time outside face life-threatening dangers, have more vet bills, and live much shorter lives than their indoor cousins. The majority of veterinarians in the United States agree. In 2001, The Humane Society of the United States surveyed 600 veterinarians (HSUS veterinarian study conducted in June 2001 by Jacobs, Jenner & Kent). 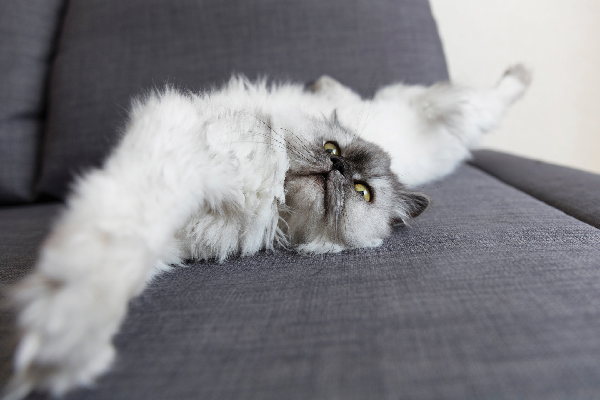 The study found that 2/3 of the respondents recommended that cats be kept indoors all the time. The two most common reasons they cited were dangers from vehicles and disease. Cats cannot outrun cars. They also do not fare well when facing predators such as dogs, cats, raccoons, and coyotes. Some kitties are lucky to emerge with only a few minor wounds from these encounters. Others sustain serious injuries. Free-roamers are also vulnerable to diseases and parasites. Although many kitties who go outside are vaccinated, they are not protected from all diseases. Worms, fleas, and other parasites often hitch a ride on cats. Poisons and pesticides are other very real concerns. Cats will eat poisoned rodents, becoming the unintended victims in the poison food chain. 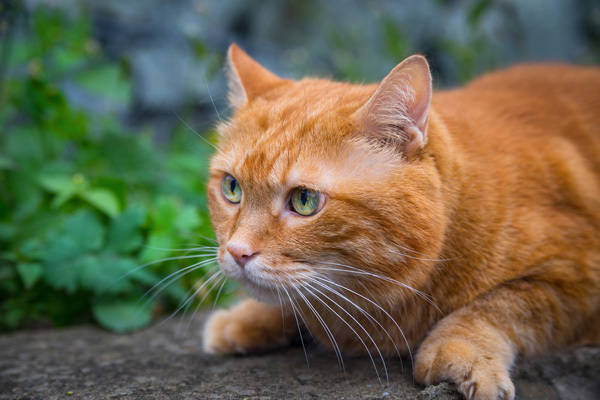 Although indoor cats are also vulnerable to diseases, injuries, and parasites, the risks to outdoor kitties are far greater. 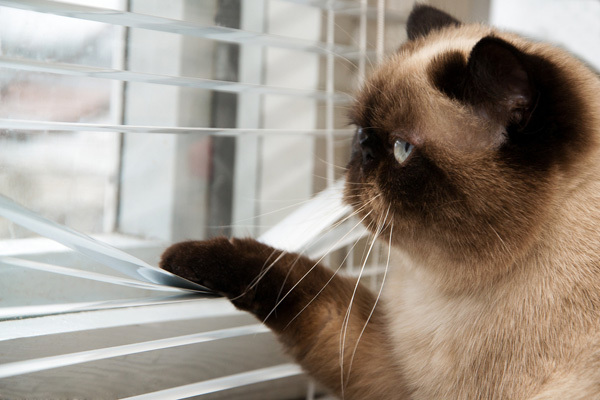 Despite these realities and the data to back it up, many people still let their cats outdoors. Some mistakenly believe that it is cruel to keep them indoors. Others justify it by saying that their cats are allowed outside only when they are home or during the day when predators are not around. Cali’s mom said that. Many predators do operate mainly at night, but others cruise around neighborhoods during the day. Cars and poisons do not follow schedules. 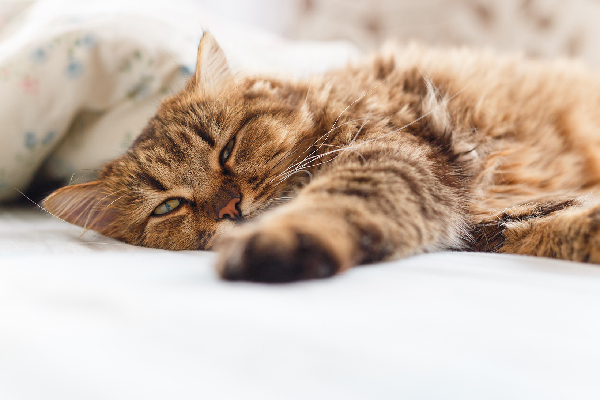 Below are several more reasons to keep your cats indoors and how you can transition an outdoor cat to one who stays inside. 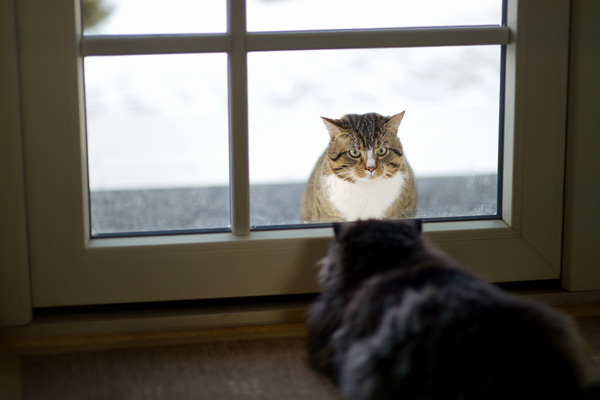 Free-roaming cats can cause serious problems for indoor kitties and their people. Outsiders often cruise through backyards and hang out around homes, agitating the occupants. Resident kitties sometimes react by spraying, eliminating outside litter boxes, or by becoming aggressive when they learn of the trespassers. Many people do not know they have feline interlopers until their little companions blatantly inform them by urinating or spraying next to the doors and windows where they can see and smell the outsiders. It is not the resident cats’ fault — they are understandably responding to the intruders by marking their home territory. 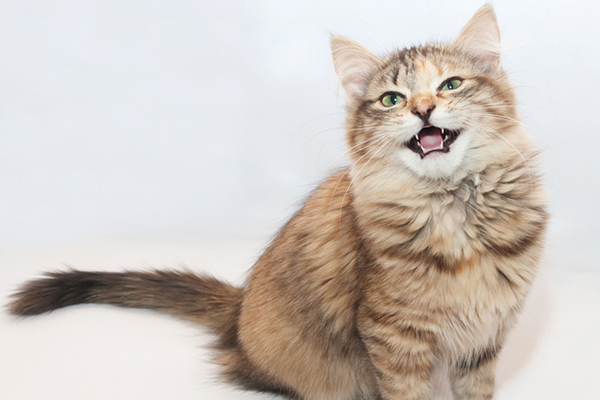 Inside cats sometimes react to the unwanted guests through aggression. The response can be so extreme that it shatters sweet relationships between cats who have been bonded for a lifetime. Concerned cat parents can also be recipients of the aggression as well. This behavior is called redirected aggression and it occurs when animals, unable to respond directly to threats, vent their frustrations onto another animal who happens to be nearby. That other animal may be a companion cat or dog or the feline’s favorite person. It is hard to imagine that there are people who do not appreciate cats hanging out around their homes. Cats do not win popularity contests when they dig up their gardens or use them as litter boxes. Some people enjoy feeding birds in their backyards and do not want cats scaring them away. Whatever their reasons, their wishes should be respected, especially because it can end badly for the cats. Although it takes time and patience, many kitties who are used to the outdoors can be successfully converted into living indoors. The easiest times to transition them into homebodies is during the rainy and cold season when most would rather nap in warmth than shiver in the rain. Whatever the season, the secret to encouraging the neighborhood globetrotters to choose indoors over the outdoors is to make the inside more interesting and appealing then the outside. Food is a great motivator. Meals and sumptuous treats should only be available indoors. 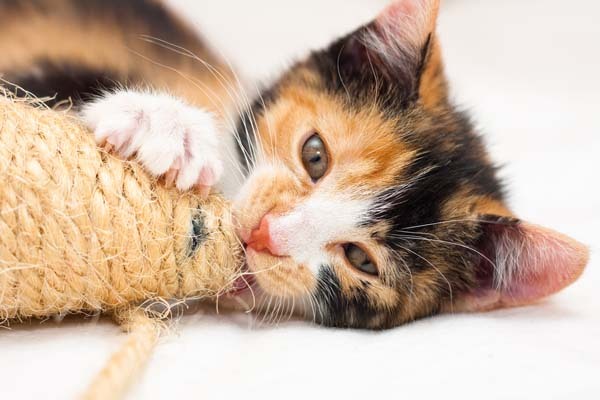 In addition to stimulating activities, such as play, treasure hunts, and shared nap times, things such as high places to climb, warm places to sleep, interactive toys, and scratchers will help persuade felines to make a permanent lifestyle change. There is hope for felines who are vehemently opposed to indoor living. You know whom I am talking about! These are the little protestors who howl incessantly at the windows, demanding their outside time. They are the opportunists — always on the alert for open doors and windows to dash through. They may have spent part of their lives outside or they got used to outdoor expeditions and find it hard to adjust to living indoors 24/7. Enclosures, cat-fences, and catios are perfect for restless felines — keeping them safe while they get their outdoor fix. They come in many shapes, sizes, styles, and prices. A little imagination morphs them into kitty Disneylands. Tree stumps and limbs, nontoxic plants, platforms, and water features transform enclosures and backyards into stimulating cat paradises. There are many models. Some non-shocking cat fences install on existing fences while others are free standing. They keep the resident kitties in backyards while simultaneously stopping visits from unwanted guests. When cat fences are not practical, enclosures can be the solution. Some are free standing, others attach to windows. They can be bought or they can be made at home. If you are handy with a hammer you can design and build your own — customized for the special feline. Catios are perfect for apartment-dwelling felines as well as for homes where it is impractical to install cat fencing or build enclosures. These attach to windows or convert balconies into safe cat zones. 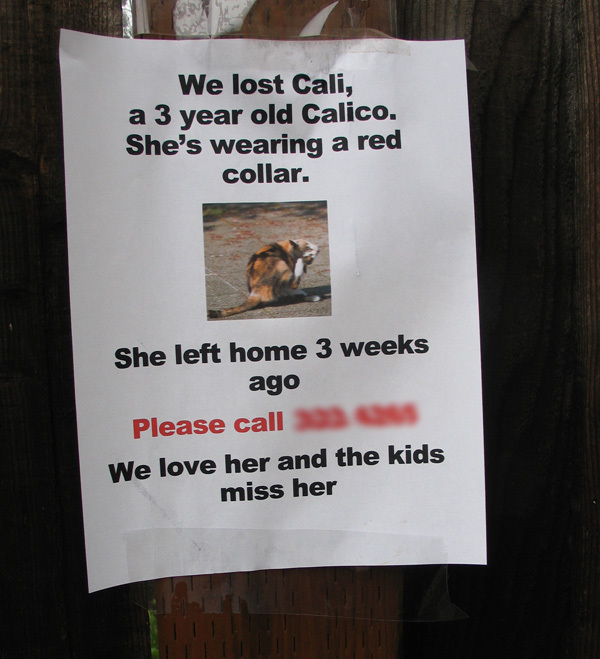 Remember little Calico Cali? Unfortunately, because of a dog, there was no happy homecoming for her. Her sad story inspired me to write this article with the hope that her short life will encourage people to keep their cats indoors where they are safe.